From St. Petersburg to Palm Harbor, from Clearwater to Tierra Verde, Pinellas County has a bounty of beautiful homes and remodeling projects. Pinellas County is an endless source of inspiration. This piece of old Florida is a true delight, with its quaint beach feel, proximity to the water and tropical foliage – what’s more beautiful than a Bougainvillea in bloom? 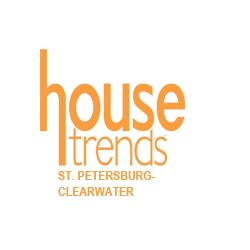 Housetrends explores this community’s unique and beautiful character and brings you the latest in home and garden design trends. So when it comes to the best and brightest in everything home and garden related in the St. Petersburg/Clearwater area, you will find it right here!